Up till the late 1990s, they were regularly seen at the market of Choudwar. The locals took them to be Gurkhas of the Odisha Special Armed Police, often deployed at the outer periphery of the Charbatia air base. Old-timers remember their presence from the late ‘sixties. 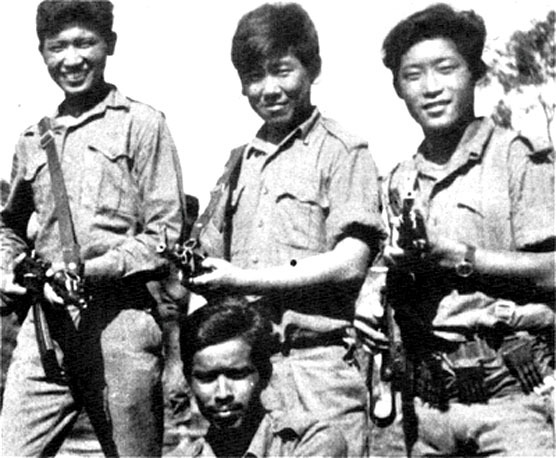 Few know that these groups of tough looking young men were part of the Indian Army’s most secret guerrilla force, called the Special Frontier Force (SFF) or simply Establishment 22, often referred to in military parlance as “two-twos.” Very little is known about their presence and activities; they functioned under the India Secret Service establishment Research and Analysis Wing (RAW). Even today, the Indian government denies the existence of this force. It was Biju Patnaik who was instrumental in the formation of Establishment 22. In fact, it was he who had mooted the idea of a Tibetan Guerilla Force, comprising the Khampa rebels, after the 1962 Chinese debacle. As Nehru’s close confidant and defence adviser, Biju along with the Intelligence Bureau Chief B.N.Mullick, convinced Nehru that a force be formed comprising of members drawn from among the Tibetan youth who had fled to India along with the Dalai Lama. In their book “The CIA’s Secret War in Tibet”, Kenneth Conboy and James Morrison have detailed Biju Patnaik’s role in the formation of the force. It was under Biju’s stewardship that Indian intelligence had established close relations with the Central Intelligence Agency for support of the Tibetan resistance movement. In fact, India had allowed the CIA to set up camps and train the Tibetan Guerillas. Biju Patnaik had also visited the USA twice as Nehru’s representative. Establishment 22 was formed on November 14, 1962, Nehru’s birthday. It was also the day the war with China resumed on the eastern front, after a brief lull. The first guerillas were chosen from the CIA-run Mustang camp in Nepal that housed members of the Chu Shi Gandruk, the main organization of the Khampa rebels. Biju Patnaik met the Dalai Lama, as Nehru’s emissary, and convinced him to give his tacit support. The Dalai Lama sent his elder brother Gyalo Thondup for negotiations with the Khampas in the Mustang Camp. Gyalo convinced them that a regiment of 12,000 men was being raised to fight the Chinese Army in Tibet. The irony of their existence since then is that over the sixty years of the SFF, they have fought in several theatres of war, but never for their lost motherland. The primary function of Establishment-22 was to conduct covert operations behind the Chinese lines in the event of another Indo-China war. 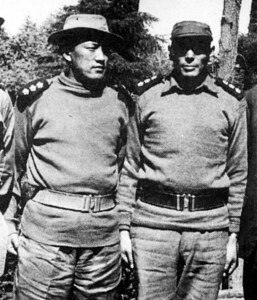 They would infiltrate as guerillas and destroy Chinese lines and communication; damage roads, airfields and radar installations; compel the Chinese to deploy a disproportionate force at rear security; create insurgency and rebellion in Tibet which would help the Indian army in engaging the Chinese at the border. As such, the recruits were trained as high-altitude paratroops-commandos, well versed in the arts of ambush, demolition, survival and sabotage. The first Camp was set up in Chakrata, 100 kms from Dehradun. The Camp still exists and is the headquarters of the SFF. The recruits were given six months of intensive training in rock climbing and guerrilla warfare. Biju Patnaik was quick to set up another training camp at the Charbatia Air Base and allotted 2500 acres of land at Chandragiri for a Tibetan Refugee Settlement. Many later recruits to the SFF were from Chandragiri. The story of these toughest and most secretive Special Forces units in the world has never been told. It’s so classified that even the Indian Army does not know what it is up to at any point of time. Establishment 22 reports directly to the Prime Minister via the Directorate General of Security in the Cabinet Secretariat. In 1966, the size of Establishment-22 was doubled and with this the unit was given a new name – Special Frontier Force. By 1971, SFF was 8 battalions strong; one battalion was posted in Charbatia. Even though not acknowledged by the Indian establishment, the SFF has, on many occasions, fought for the cause of their host country. The Force participated with exemplary skill in Operation Eagle (securing the Chittagong hills in the 1971 war), Operation Bluestar (clearing the Golden Temple in 1984), Operation Meghdoot (securing the Siachen glacier in 1984) and Operation Vijay (at Kargil in 1999). Besides they have also been deployed in VIP security after Indira Gandhi’s assassination. 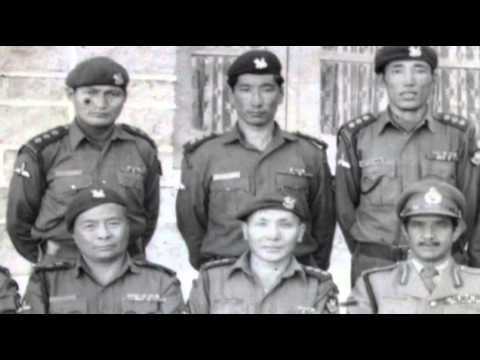 In 1971, Indira Gandhi’s sent a telegram to the Tibetan fighters in which she wrote, ‘We cannot compel you to fight a war for us, but General AAK Niazi (the commander in East Pakistan) is treating the people of East Pakistan very badly- the same way the Chinese are treating the Tibetans in Tibet. 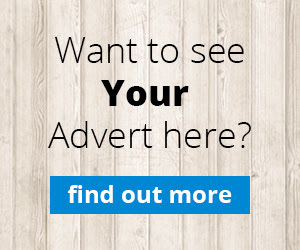 We’d appreciate your help to liberate the people of Bangladesh.” The Tibetan commanders of Establishment 22 had a short discussion, and then unanimously agreed to fight. In the 3rd week of October 1971, more than 3,000 SFF commandos were dropped in the Chittagong Hill Tracts area bordering Mizoram. The Tibetans crossed the river on canoes and launched many hit-and-run strikes deep inside East Pakistan. They blew up the Kaptai Dam, destroyed Pakistani military positions and killed many Pakistani soldiers. They struck fear into the Pakistani army, cutting off the 97th Independent Brigade and the 2nd SSG (Commando) battalion which were entrenched in Chittagong. The ‘Phantoms’ successfully pinned the Pakistanis down and cut off all escape routes. In fact, the Pakistani soldiers were seeing ghosts all the time- ghosts who were always on the prowl, swoop down from nowhere, and mercilessly eliminate them. When the Pakistani Army surrendered on December 16, the SFF commandos were only 40 km from Chittagong. For the first and only time in their history, the Phantoms came out in the open on Chittagong Road to celebrate. The locals were stunned by their sudden appearance. Even the Indian soldiers were surprised. The Phantoms were soon ordered back into the shadows, and there they have remained. In that operation, the SFF lost 49 lives and 190 were injured. For their pivotal role in the war, 580 SFF troops were awarded cash prizes by the Indian government. However, these recognitions were given secretly, and none of the SFF Jawans received medals of high honor. After the 1971 war, the SFF received a new name as Indira Gandhi’s ‘own force’. She used the Force in the controversial assault on the Golden Temple during Operation Bluestar. On 6 June 1984, the SFF commandos were ordered to isolate Akal Takth and secure its western flank. Due to lack of intelligence, SFF suffered heavy casualties and the army had to call tanks to complete the operation. In 1999, SFF jawans were sent to confront Pakistani force during Kargil’s Operation Vijay. It is rumored that the SFF was involved in the retaking of Tiger Hills, one of the key battle zone during the war. The Guerillas are supposed to be volunteers; but it is a known fact that in the 54 Tibetan Refugee Settlements in India, Bhutan and Nepal, Tibetan children who drop out of school or do not make a certain grade are expected to join the SFF. The total number of soldiers, though, has changed. It was 20,000 in the 1970’s but whittled down to below 10,000 in recent years. When in 2012, the SFF quietly celebrated its golden jubilee, nobody remembered Biju Babu. For all their hardship and valour, the SFF men and women have not got official recognition. Most of them sell sweaters and run restaurants after they are de-mobbed, but they keep their oath of secrecy and never speak of their old days. I met a few of them in the Manju-ka-tila settlement at Delhi and at Dharamshala; they refused to speak. The few who stay in Chandragiri, talked of the 1971 operations on condition of anonymity. The shadow phantoms, who initially joined to fight for their Motherland Tibet, are now fighting someone else’s battle- not with any mercenary greed but with gratitude to their ‘Aryabhumi”- a term that the Dalai Lama has given to India which means “Land of the noble’. Biju Babu’s secret army is still vital for our nation’s defence. ← This Holi Don’t miss this video talking about Unique Dola Jatra Rituals of Odisha, how many of these you know?